About us - 321 Gang Inc.
Who We Are and What We Do321 Gang helps organizations improve their ability to design and develop mission-critical Systems and Software. 321 Gang, the Continuous Engineering Experts, works with enterprises to accelerate engineering and development of large, engineered systems. 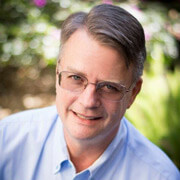 Through the use of Lean-Agile principles and SAFe, the 321 Gang Consultants work with the industry leading system builders of embedded software on best practices for requirements management, model-based systems engineering (MBSE), test management/verification and validation, and traceability for compliance and reporting. 321 Gang is the leader is applying SAFe’s Lean Systems Engineering principles and practices, and their consultants guide large enterprises scale lean-agile practices, both horizontally across engineering disciplines and vertically for large programs. 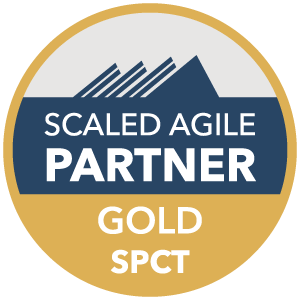 321 Gang, the Continuous Engineering Experts, is a five-time winner of IBM Rational Awards, an IBM Platinum Business Partner, a Scaled Agile (SAI) Gold Partner with multiple SAI SAFe Program Consultants (SPC) and a SAI SAFe Program Consultant Trainer (SPCT). The Gang sells IBM Rational Software at competitive prices. The Gang’s clients repeatedly purchase IBM Software and engage with them for training and consulting services because the 321 Gang team understands the regulatory requirements and issues they are facing. 321 Gang’s consultants are software engineers and each one has extensive software development experience. Our leadership team are industry experts in their own right and lead our team of experienced industry experts in assisting you in adopting the best practices and tools for your organization’s unique challenges and ROI goals. Our consultants are engineers, and each one has worked in the software and/or systems development field. Pat started his software engineering career working for companies such as Apple, McDonnell Douglas, Boeing, Honeywell, Rockwell-Collins, Raytheon, Brunswick, Motorola and General Dynamics. In 1994, Pat co-founded a software engineering company named QRP Inc. QRP was acquired by Pro Staff. In 2005 Pat co-founded the Gang with a focus on supporting IT & complex systems for organization that are leveraging the power of the IBM Rational portfolio. Pat graduated with a BS in Computer Science from Purdue University. He resides with his wife in Scottsdale, Arizona. Doug Stewart, Director of Services at 321 Gang, is a SAFe® Program Consultant (SPC) 4, a Certified ScrumMaster®, a certified Tasktop Consultant, and he is certified in Lean Six-Sigma. 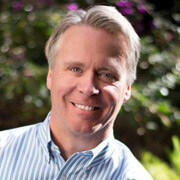 Doug has a passion for Software Development and Software Development Process Improvement. Doug’s first job was to automate the calculations for the calculus associated with noise levels in enclosures like truck and auto cabs. Recently, Doug has been working as an Agile Coach working with industry thought-leaders to help organizations achieve business agility through better software processes and tools. Combining SAFe with more than 25 years of IBM Rational tool experience gives a complete set of capabilities to help customers address their enterprise-level systems and software development needs. Passionate about Software and Systems Engineering? We Are! Our mission is to sell client-centered solutions that will improve our clients’ Continuous Engineering processes. Many of our clients manage very complex solutions, and are in the aerospace, automotive, consumer electronics, and medical device industries. Our headquarters is in Scottsdale, Arizona, and our team is mostly virtual. This allows us to work with talented people and experts without having to worry about where they live. For more information, click on one of the positions below.